If you are in the market for buying a grill right now, we are here to tell you it is not that easy! The main reason is that there are so many grills to choose from, each with different features and various ways of cooking. To help you find one that you are going to like, we are going to be reviewing the Pit Boss 71820FB Pellet Grill with Flame Broiler. The Pit Boss 71820FB Pellet Grill with Flame Broiler comes with a lot of features to enhance the entire grilling experience. What first struck us about this pellet grill is that it is very affordably and competitively priced with many on the market today. This is a flame broiler that is absolutely perfect for open-flame searing, for a variety of different meats and to cook with. This features a massive cooking surface, so it is great for large meals when you are cooking for many guests, such as a lot of friends and family. The cooking surface measures a substantial 820 square inches of space. The surface has been coated with porcelain, making it very strong and durable, and which is also easier to clean than many on the market right now. The main grid is made of cast iron which is rustproof and very strong to last a long amount of time. 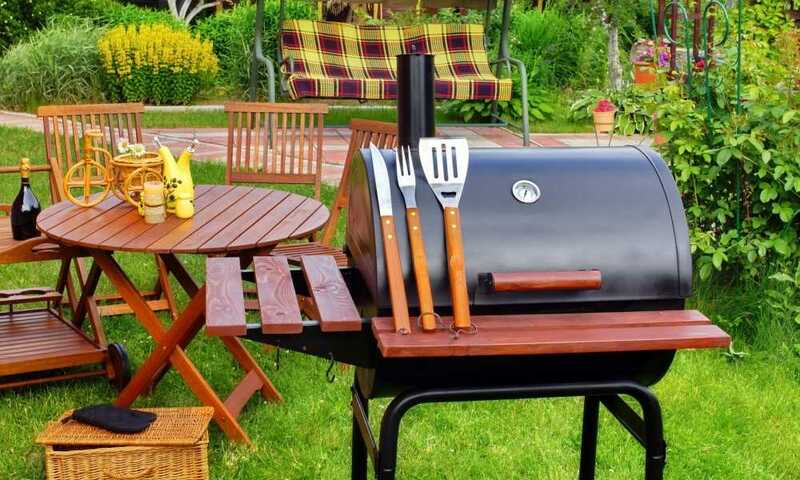 As is the case with many pellet grills, this comes with a full temperature control system that you can just set the temperature you want on the inside, and let the grill work its magic. It has an LED readout display, so you can see what the temperature is on the inside at all times, so there is never any fear of overcooking or overheating the food you want to eat. This can get in a wide range of temperatures, from 180° all the way up to 500°. 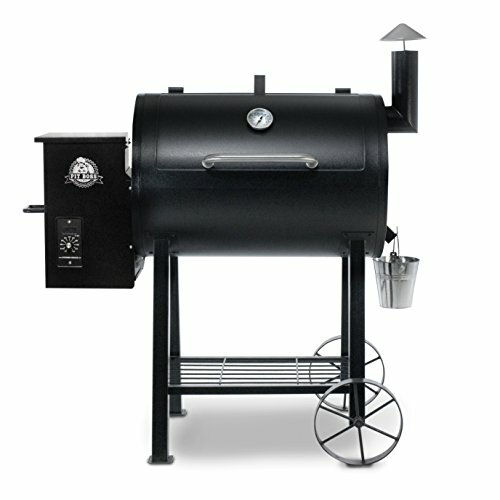 The Pit Boss 71820FB Pellet Grill with Flame Broiler measures 50” by 25” by 48” and weighs a total of 141 lbs. This is a heavy-duty machine, built to last a long time. This is also a very versatile machine, that you can use for grilling, roasting, smoking, braising, searing and baking for a variety of various foods. What makes this unique is you can also use it directly over an open flame to have an authentic barbecue taste. There is also a removable upper rack so if you really want a lot more room you can remove the rack. It has a strong structure and is very durable, hopefully lasting you a long time. The main thing we always stress when it comes to various products, is that it really does come down to personal preference and the space you are planning to use the grill in. If you have a smaller space, obviously, you are going to want to go with a much smaller sized grill as this is going to make the most sense. The more questions you can answer about where and how you are going to use the grill, the easier it is going to be to narrow your search. We recommend that you take the time to figure out what it is that you want most of all in a grill. This is going to alleviate stress and help you find one a lot faster than you originally would. With that being said, we believe the Pit Boss 71820FB Pellet Grill with Flame Broiler is one of the best pellet grills on the market right now. The biggest appeal is its fantastic sturdy frame. This is a grill that is not to be messed around with and is not going to damage easily. It also comes in at a very affordable price, great for anyone who wants to save a few bucks. On top of the price, it is easy to use and is highly accurate providing a thorough cook. The only downside is that it does use a lot of pellets, which is going to cost you more in the long run.